After a four year absence from the studio, Brazil's Shaman returns with their fourth album, Origins. To their good fortune, the band, led by former Angra drummer Ricardo Confessori, retains the stable lineup from 2007's Immortal: Thiago Bianchi (v), L�o Mancini (g) and Fernando Quesada (b). For their sophomore work, Origins is a solid melodic power metal effort, even if it is rather short, showing the band coming into their own. For classic thundering power metal look to Lethal Awakening and Ego Pt.2. Inferno Veil is no less bombastic, but offers more intrigue in the arrangement. Finally Home and Rising Up to Life finds Shaman toning down the 'power' side of their metal for the more melodic and accessible. No Mind returns to a quicker tempo of power metal. Blind Messiah proves Shaman's ability to create a grand and epic metal piece without falling into the same power metal score. It's also a fine showcase for Bianchi's vocal talent. Yet, all members are equally impressive throughout and, as usual, the production is vibrant and clear. With power metal being rather passe these days, and having more than a few critics, it's good to find a band that knows the genre and plays it well. Shaman's Origins is representative classic melodic power metal in the modern context done right. Recommended. With power metal being rather passe these days, and having more than a few critics, it's good to find a band that knows the genre and plays it well. 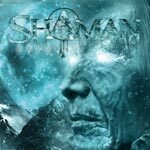 Shaman's Origins is representative classic melodic power metal in the modern context done right.